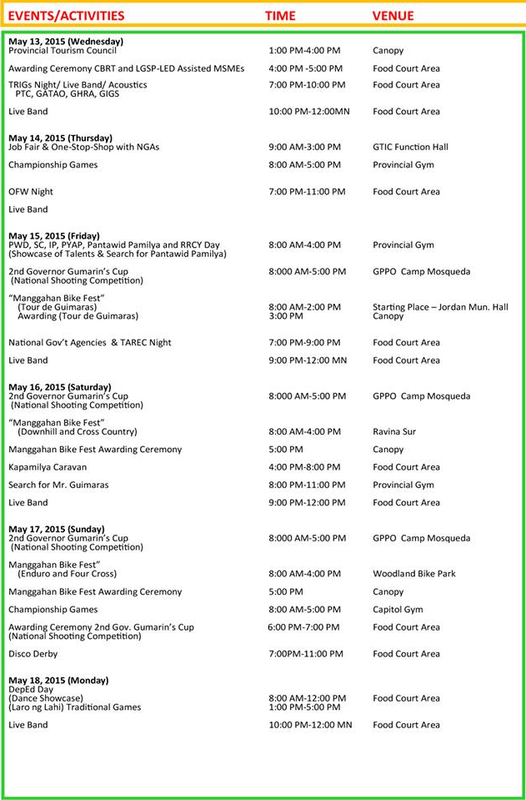 Home Events Guimaras Manggahan Festival 2015 Schedule of Activities and Events! 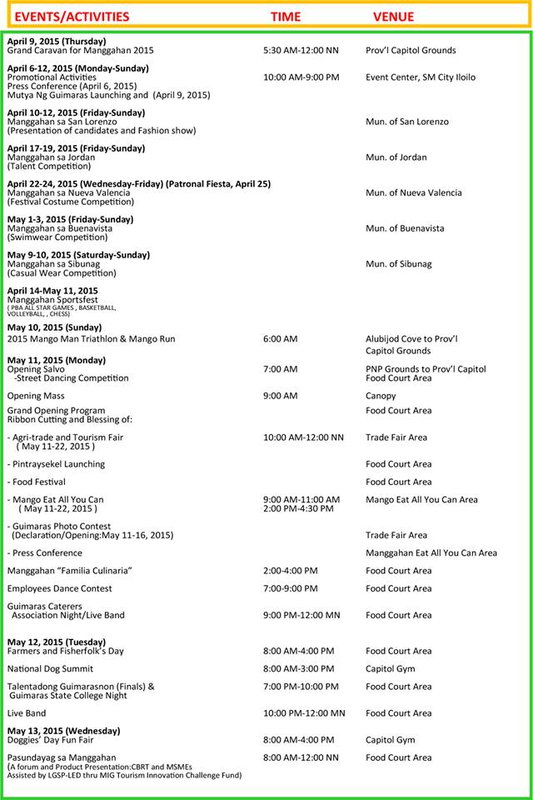 Guimaras Manggahan Festival 2015 Schedule of Activities and Events! Planning out for summer activities? 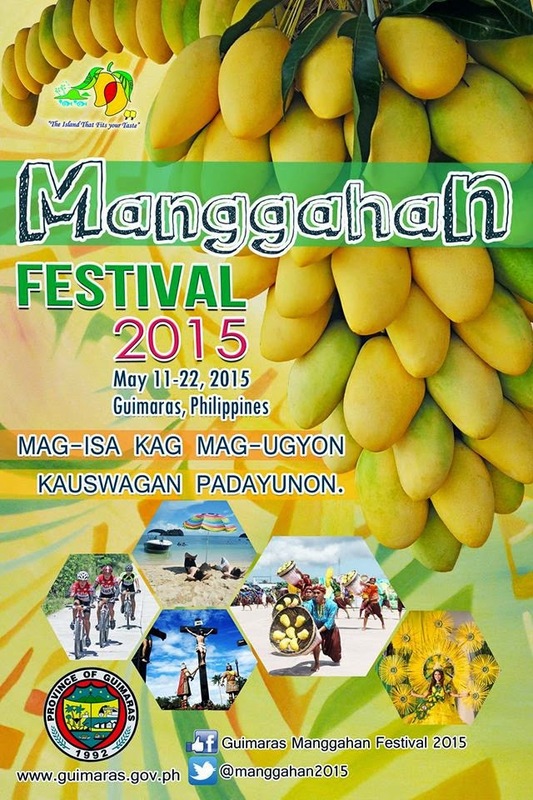 Don't forget to include the Manggahan Festival of Guimaras on your list! The Manggahan Festival of Guimaras is an identity festival commemorating the anniversary of the province as being an independent province. It is held every 22nd day of May which depicts the cultural heritage of the province and also to emphasize the promotion of Guimaras as the "Mango Country of Western Visayas". It is a week long celebration that showcases the products of the province, its cuisine and services. The Manggahan Festival brings out the creativity of the people of Guimaras. Aside from their mangoes that they consider as the best tasting in the world, which they showcase during the festivities, there were also hand made and indigenous products that fill the exhibit area in the plaza. The festival is highlighted by street dancing, a technology fair, cultural presentations, painting and drawing contest, selection of mango bulilit queen, a marathon race and many more. Aside from that there was also the much awaited Search for Miss Guimaras and Miss Manggahan. 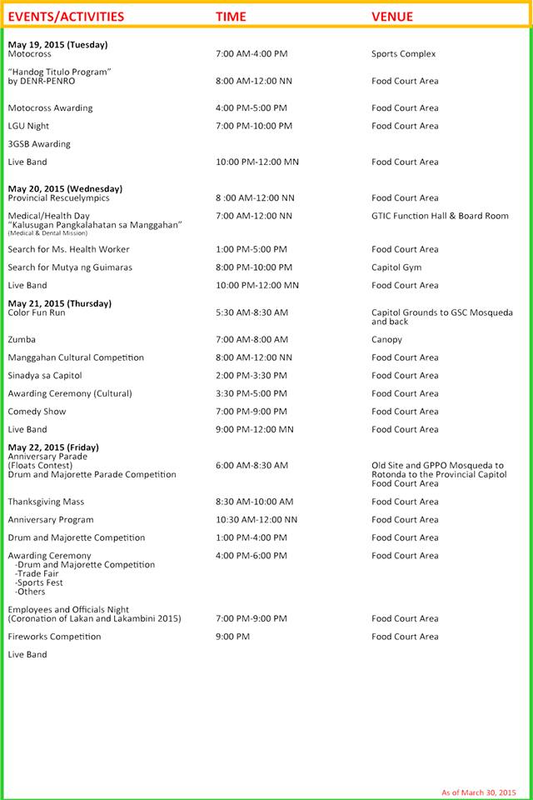 Below is the most awaited schedule of the Manggahan Festival 2015.